As the £134,000 Aston Martin plunged into Lake Garda, onlookers might have been forgiven for thinking they were watching filming for the new James Bond movie. In fact, they weren't far wrong. Except that this particular DBS was actually on its way to the set yesterday ? and being driven by a technician from the British factory. But it seems just being in a James Bond car can give you 007 powers. 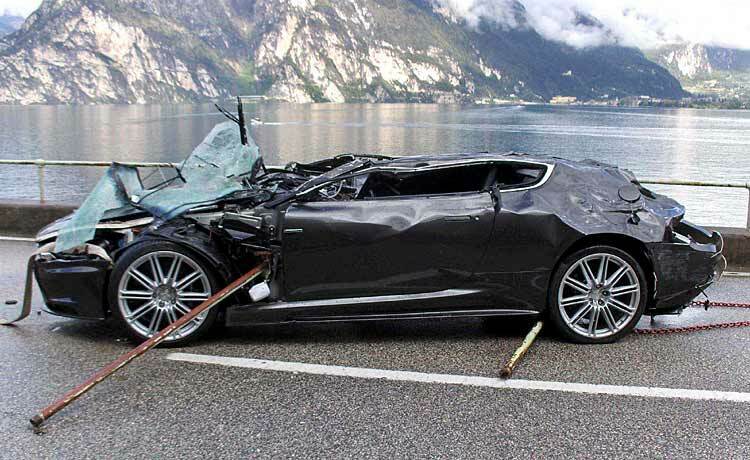 Astonishingly, driver Fraser Dunn, 29, of Leamington Spa, suffered only minor injuries after the supercar careered off the road, piled through an iron railing and into the Italian lake.